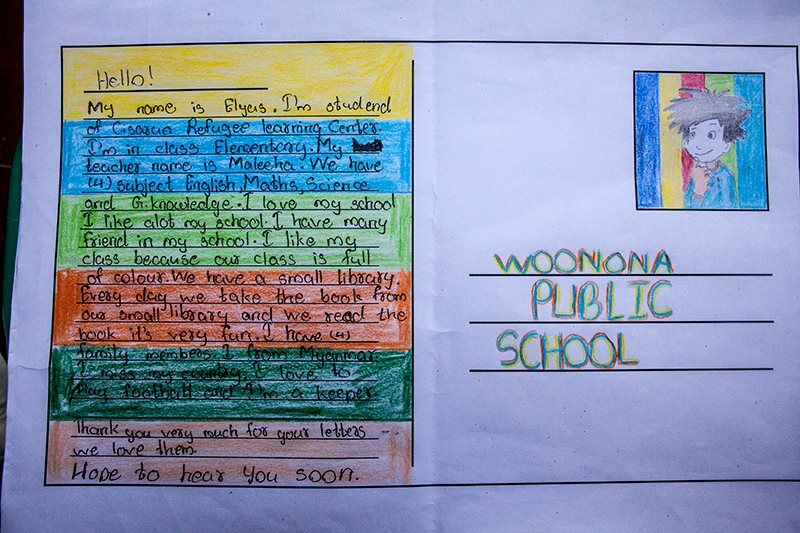 The reply to letters from students of Woonona Public School Sydney was equally fabulous! Our students got the idea and expressed their excitement to get their letters. Some of the letters were extremely beautiful and carefully crafted with love. The messages were simply impressive! 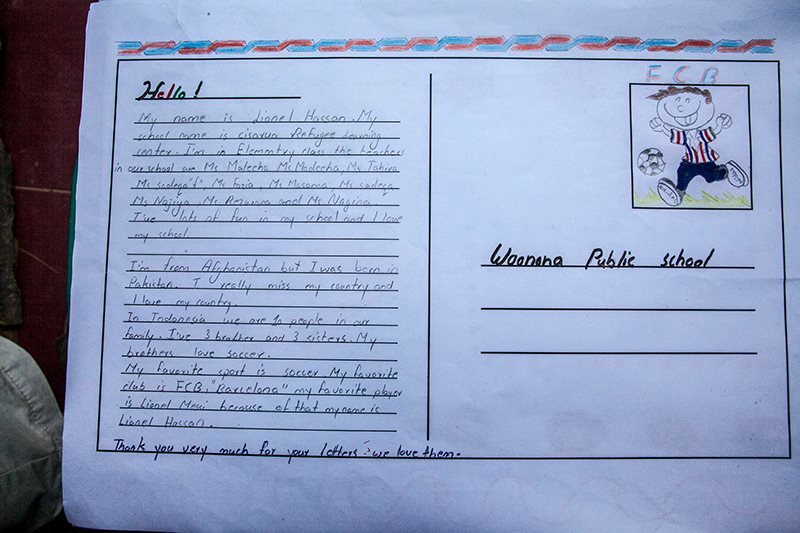 Students from Afghanistan, Pakistan, Myanmar and Iran shared their feelings in these beautiful letters. All the teachers played their mentoring role to make these beautiful letters. Also we observed some amazing writing, art, sketching, comic skills of our students. We are also amazed to see how expressive our students are. 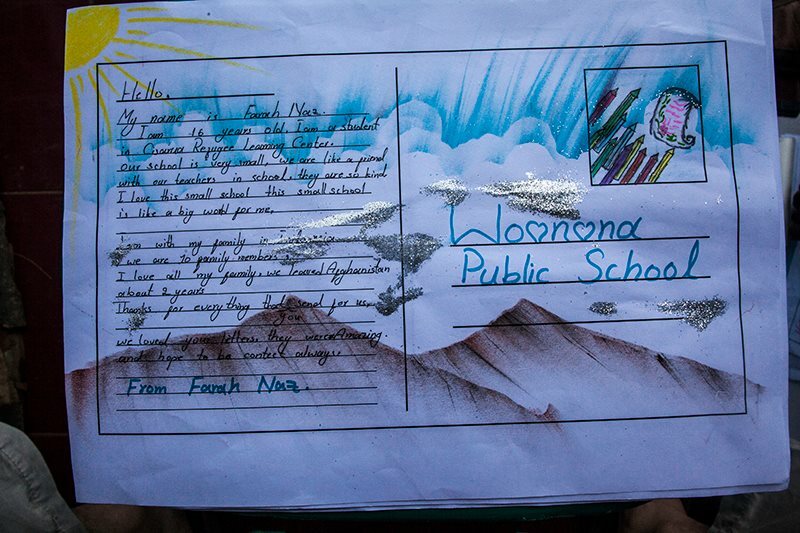 Once again thanks to Henry Rajendra for delivering our letters to Woonona Public School.